Growing up, I always had a dog and as a single child, they proved to be such loyal, smart, loving and constant companions. I’ve always shared a strong bond with my dogs and they bring great joy to my life. Dogs are my passion and I knew after graduating high school that I wanted to work with dogs and dedicate my education to the science of canine & animal behavior so I could turn my passion into a career. I began my formal education in 2006, at Triple Crown Academy in Texas (now Starmark Animal Behavior Center) in the narcotics and police dog training program. Here, I was introduced to much more than just detection training. They taught me a wide variety of different training methods and techniques, from positive reinforcement training, agility, search and rescue, clicker training, shaping, basic grooming, kennel work, pet CPR/first-aid and much more. The dog I was paired with to train, Baylee, was from the local shelter and we established a very strong bond. My father predicted that I would not be able to part with Baylee and he was right. I adopted Baylee and he will always be a very special part of my family and our pack. After studying narcotics and police dog training, I continued my path in obedience dog training and achieved my certification in the study of Pet Obedience Theory and Application. Upon completion of my formal education, I returned to Florida and began working as a dog trainer at a local company and learned a lot from this experience. As I continued to grow as a trainer, I realized there is no "one size fits all" method to training dogs. Every dog is different and unique and understanding their individual needs is a very fulfilling part of the training process. I structure my training programs based on the dog’s individual needs. One of the most rewarding aspects of dog training is to watch the wheels turn in the dog’s head, that moment when it begins to click and connect as they are learning. In 2007, I began working at a local doggy daycare, handling and supervising dogs in a pack environment and continued my work there for the next eight years. I was amazed at what I learned through observation and training in a pack environment. I began studying canine psychology, pack behavior, and started implementing it with my own dogs, as well as the dogs at work. I created an "in kennel" daycare training program and quickly realized that one-on-one training in a pack environment is especially effective for dogs. I am so happy to be part of the team at Perfect Pets & work with such dedicated people who are truly committed to the success & enrichment of our team, our clients, and the community we serve. At Perfect Pets we provide structured, loving care to our four-legged clients. Whether it be their daily routine of exercise, social play and companionship or our Basic to Advanced Obedience Training Programs, our goal is to always create a positive environment where dogs can learn, thrive and achieve their full potential. In my free time, I enjoy dog sports and training, including: Flyball, Agility, Herding, Nose Work, Disc. I regularly participate in sports classes and tournaments with my own personal dogs. 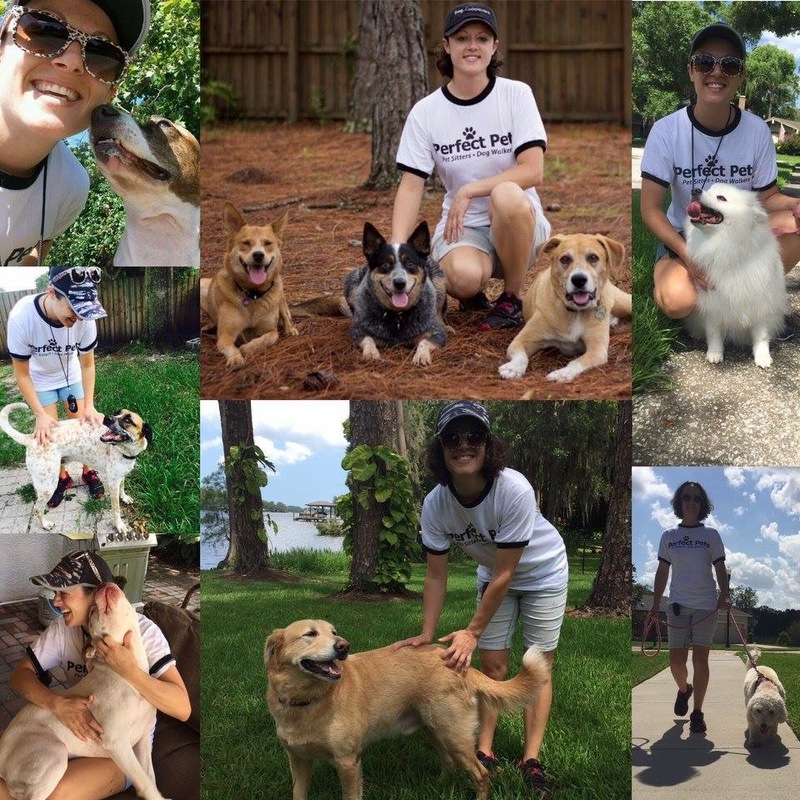 Continuing education and experience fuels my excitement for the science of animal behavior and has provided so many new ways to connect with my personal dogs and our client’s dogs. All dogs want to be good dogs. All dogs want to learn and they need us to teach them in an effective, consistent and structured manner. I firmly believe that a well-trained dog is a happy, balanced and confident dog. My philosophy is that training should always be a positive experience for the dog, the trainer, the handler and the parent.